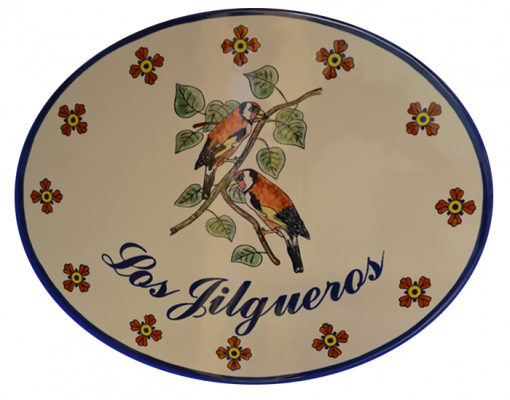 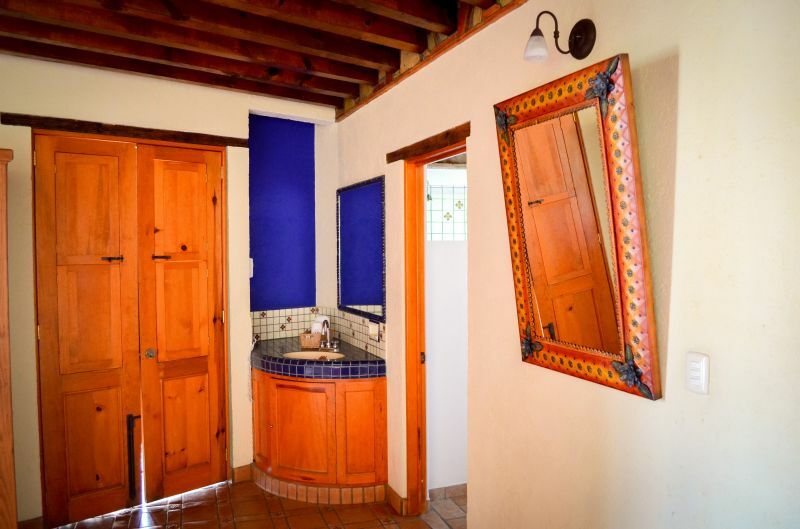 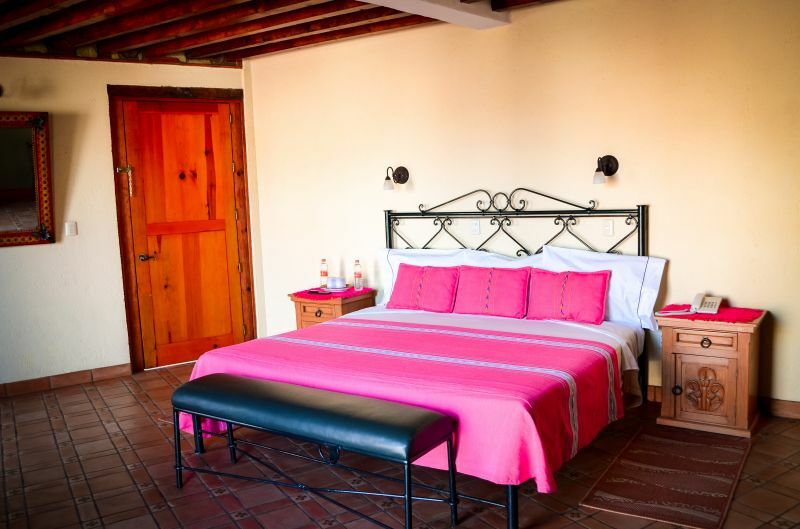 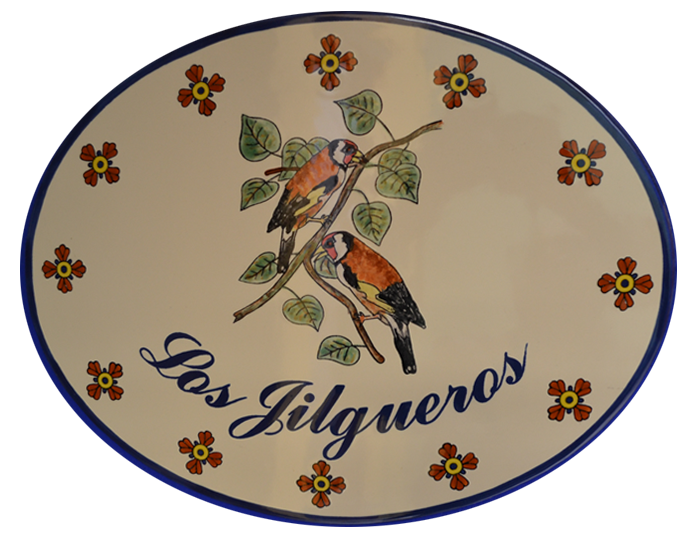 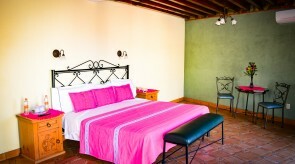 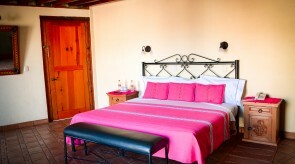 Spacious room with one king size bed, full bath with shower decorated with handmade talavera tiles and domed ceiling. 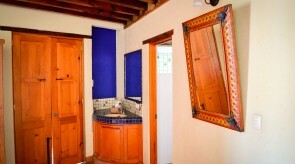 Wood and wrought iron furnitures, clay tile floors. 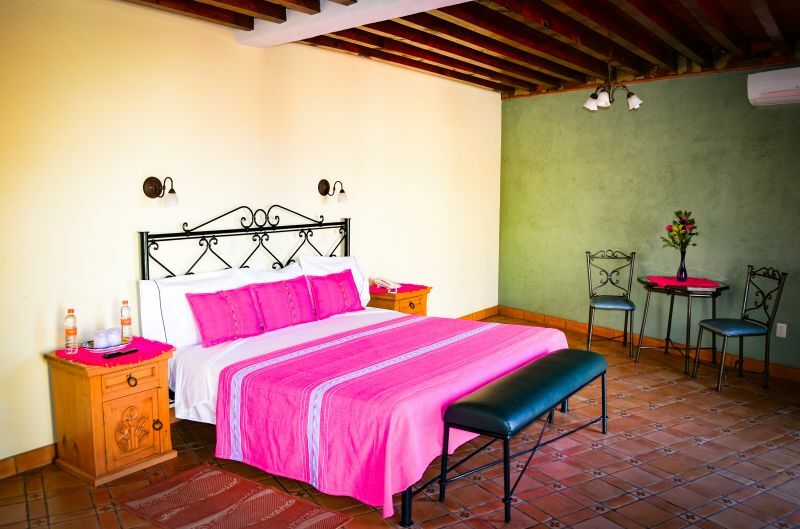 Two balcons where you can enjoy Guanajuato.